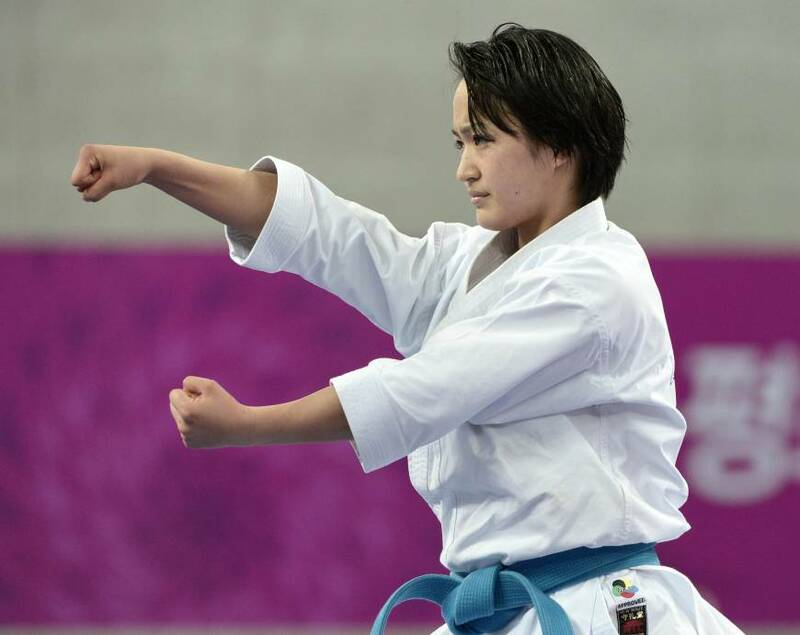 INCHEON, SOUTH KOREA - Kiyo Shimizu won the Asian Games gold medal in women’s karate kata and Hiroto Shinohara emerged victorious in the men’s 67-kg final on Thursday. The 20-year-old Shimizu, the East Asian Games and Japan champion, defeated Vietnam’s Nguyen Hoang Ngan 5-0 to give Japan’s women a medal in the discipline for the sixth straight time since it was added to the Asian Games program in 1994 in Hiroshima. Issei Shimbaba took a men’s kata bronze. In the men’s 67-kg final, Shinohara scored a 3-2 win over Rinat Sagandykov of Kazakhstan, giving Japan its first men’s kumite Asian Games gold medal since Kenichi Imai won at 60kg in 2002 in Busan, South Korea. Ayumi Uekusa won a bronze in the women’s over-68-kg category.